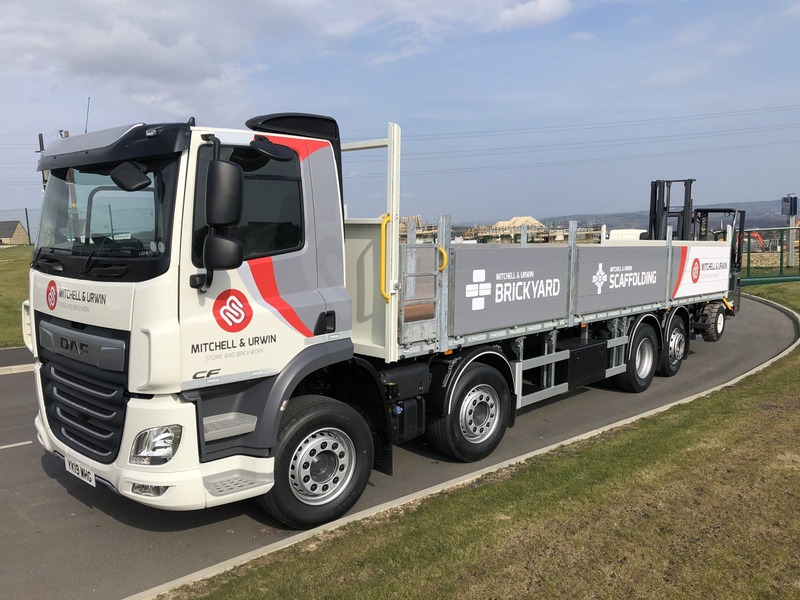 Mitchell & Urwin is the leading stone and brickwork contractor in Yorkshire and we were absolutely delighted when they approached us to build not one, but two vehicles for them recently. They took delivery of their first truck last week, a DAF CF450 8 x 2 with Rear Lift & Steer, Alloy Dropside Body and fitted with a Loadmac Fork Lift. A very specialist piece of kit in order to support the bespoke service they offer.